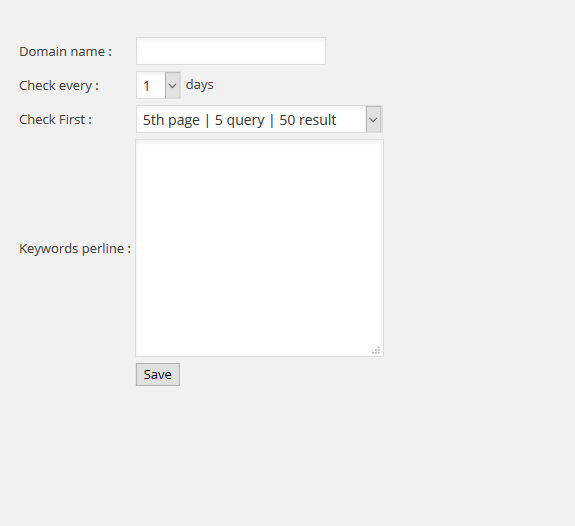 Google Keyword Rank Checker Plugin for WordPress. 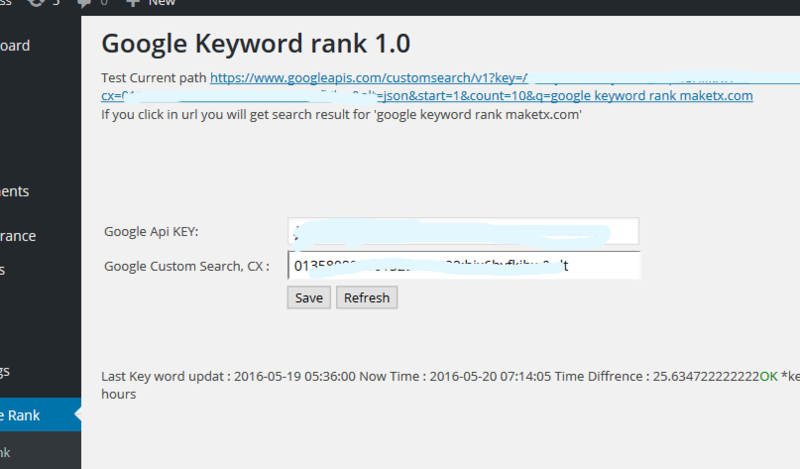 Find keyword rank for your domain, this is WordPress plugin. This plugin will search as regular search. It will search your given domain name at your result position. This plugin will search for domain matching. Every page will count 1 search. So first 10 result is one search , next 10 to 20 result is another Search.. and so on. Please send us feedback if this plugin dosen’t work. Please add API key first. Please visit Google API console for Custom Search Engine API key. Add Domain name and keywords. One keyword at a time. We need feedback, please wright us from contact us page.